Rockies won finally but we still can´t to be satisfied. We can´t wait that they will win more games with only two runs. Offense is still struggling and it was 12th game of last 16 when Rockies scored 3 or less runs. De La Rosa pitched 6 innings and didn´t allow any run. But strongest moment came at 7th inning when Escalone filled bases without outs. But than came strong moments for Outman and Lopez.Outman with strikeout and Lopez with ground didn´t allow any run. 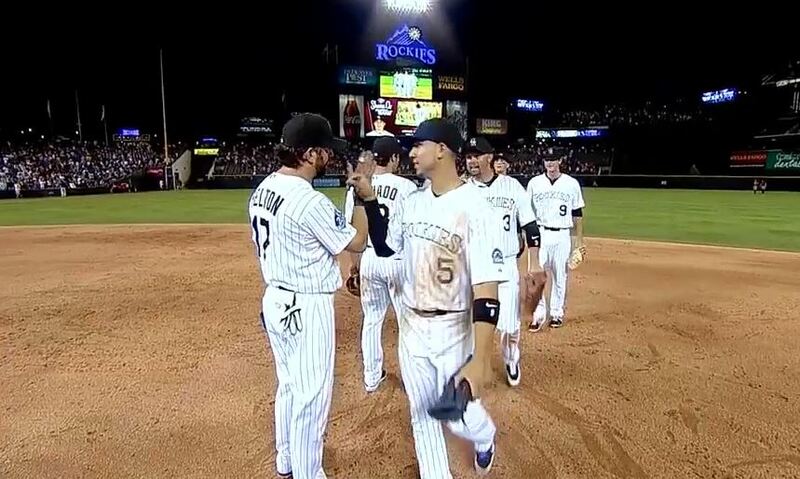 The greatest moment for Lopez in Rockies uniform. Rex has 6 saves this season with ERA 1.37.